Brian has Masters degrees from Cambridge University in Natural Sciences Brian's latest books, Ten Billion Tomorrows and How Many Moons does the Earth Have are now available to pre-order. 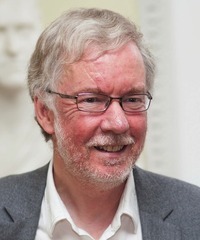 He has written a range of other science titles, including the bestselling Inflight Science, The God Effect, Before the Big Bang, A Brief History of Infinity, Build Your Own Time Machine and Dice World. To ask Brian Clegg questions, please sign up. Hey Brian! I am a mathematical-physics student and just finished reading "Are Numbers Real?". When reflecting on the final chapter in the book, I was curious what your thoughts are about the current state of physics. Do you believe that there has been a change in mindset in modern physics? 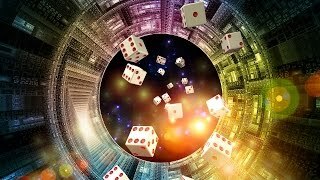 Have we reached the point where we are predicting unprovable theory (wormholes, string theory etc) because "the math checks out"? A good British crime novel is a wonderful thing, and I felt fairly confident coming to Dead Simple because according to the cover it has sold 14 million copies. But, for me, it was a huge let down. Like many with a science background, I generally struggle to take philosophy of science seriously - it can too inward-looking and generally more fond of using impenetrably big words than having any true meaning. However, Lee McIntyre manages to make Like many with a science background, I generally struggle to take philosophy of science seriously - it can too inward-looking and generally more fond of using impenetrably big words than having any true meaning. However, Lee McIntyre manages to make his take on the scientific method and the demarcation between science and either non-science or pseudoscience (we'll come back to that split) genuinely interesting. Most of us come across the idea of the scientific method - the approach taken by scientists that gives science that 'special sauce' that makes it so good at doing what it does. Rather like the way that some physicists like to say that time doesn’t exist (until it’s dinner time), philosophers of science like to say the scientific method doesn’t exist - but then can’t help but acting as if it does. I think this is because they (and many scientists) want 'the scientific method ‘ to be a step-by-step series of rules, but Lee McIntyre makes it clear it’s something more like ‘Empirical evidence is key, and if evidence contradicts our theory then we change the theory.’ He calls this the 'scientific attitude' - but for me that's splitting hairs (I suppose that's what philosophers are for): it is a particular kind of method, based on principles rather than rules. For the non-philosopher, McIntyre spends an inordinately long time trying to pin down whether this approach should be a necessary, sufficient or necessary and sufficient way of demarcating science from either non-science or pseudoscience. The distinction between the two of these opposing categories is whether we are merely trying to distinguish science from 'fake science' (e.g. climate change denial or intelligent design) or from legitimate disciplines which are not and never will be science, such as literature or music. Deciding demarcation is perhaps more interesting to insiders - the rest of us really just want to stop the pseudo-scientists and to get the 'soft sciences' onto a better scientific basis (give them more of a scientific attitude, McIntyre might say). This latter is a point the book addresses at some length, as social science areas such as psychology, anthropology, sociology and economics use the tools of science but do not yet always do so with a properly scientific attitude. McIntyre interestingly suggests that these fields could model themselves on medicine, which went from being pretty much a pseudoscience to a true science relatively recently. According to the blurb on my 1974 edition (the book dates back to 1965), Dune is 'the finest, most widely acclaimed Science Fiction novel of the [20th] century.' I thought it would be worth re-reading it after a few decades - and found that it has he According to the blurb on my 1974 edition (the book dates back to 1965), Dune is 'the finest, most widely acclaimed Science Fiction novel of the [20th] century.' I thought it would be worth re-reading it after a few decades - and found that it has held up surprisingly well. In fact, make it 'one of the finest' and I'd only quibble about one assertion in that blurb. What we have here is an impressively wide-scale space opera, centring on the desert planet of Arrakis, known as Dune, source of a unique spice that is both anti-ageing and, in excess, supportive of a kind of prescience. The planet is occupied by a people strongly modelled on traditional Middle Eastern Arabic cultures and is the subject of political in-fighting between two 'great houses' and an Emperor. The whole thing is feudal and, though set in a high-tech future, has a shield technology that conveniently for those who like a bit of medieval atmosphere, make knives the most appropriate weapon for interpersonal combat. With that description it could be yet another medievals-in-space tale, but what Frank Herbert did so well was to assemble a complex and rich mythos to accompany the basic plot lines with the scheming Bene Gesserit organisation attempting a long-term human breeding programme and lots of nice little details typified in the quasi-religious 'litany against fear.' And for much of the book, Herbert manages real page-turning writing - whenever there's some action going on it's difficult to put the book down. However, it's worth saying that Dune is not without faults. There are passages where there's far too much agonising over what should happen and what path to take and general purpose philosophising. Although some of the sayings and aphorisms are surprisingly good, others come across at the fortune cookie level of sophistication. And Herbert had a lot to answer for in his central bad guy, the Baron Harkonnen, who comes across as a pantomime villain, rather than a realistic evil mastermind. He comments early on 'Is it not a magnificent thing that I, the Baron Vladimir Harkonnen do?' Groan. All together now: 'Oh, no it's not.' And perhaps his worst sin is becoming a template for the evil bad guy in space operas through to the present day - I read a brand new one just a few weeks ago that had an almost identical big bad, down to being too fat to support his own weight, the same highly unpleasant tastes and general buffoonery. The quibble about the blurb is in calling Dune science fiction. It fits better in the now mostly vanished category of science fantasy - although the book uses the conventions of science fiction, it has aspects that are deeply unscientific, particularly in the precognitive ability and 'genetic memory' the spice gives to some individuals, notably the central character Paul Atreides. What's portrayed here - along with many of the abilities apparently endowed by training, such as being able to command people with a special 'voice' or being a 'mentat' are really just magic in a science guise. It's not a problem, but like the Force in Star Wars, it pushes the title over the boundary into fantasy.
" Cris wrote: "Beautiful review!! Thank you!" You're welcome! " Although a review should largely be about the content of a book - and we'll get onto that - sometimes, the format it is presented in can have such an impact that this comes to the fore. Will AI Replace Us? falls into this category as part of Thames & Although a review should largely be about the content of a book - and we'll get onto that - sometimes, the format it is presented in can have such an impact that this comes to the fore. Will AI Replace Us? falls into this category as part of Thames & Hudson's The Big Idea series which makes use of 'Quick recognition text hierarchy'. Throughout the book there are four different font sizes used. The idea is that you can read the biggest two sizes to get an overview in about half an hour, add in the next size down for an hour's quick read, or go the whole hog for a two-hour in-depth read. It's an interesting concept, but the execution is horrible. The designer seems to have no idea how book pages should be laid out. The text is chunky sans serif - hard on the eyes on paper - and has far too little white space, getting uncomfortably close to the edge of the page and looking like it has been thrown in, rather than carefully set. To make matters worse, there are two other text styles - a tiny one for image captions and another for hypertext-like definitions of phrases (which are heavily highlighted in the text), causing more visual confusion. That attempt at imitating hypertext reflects the reality that this approach would work far better on a web page, where you can have proper hypertext and collapse lower level sections without resorting to eye-crunching text size differences. It just doesn't work well as a book format. It's novel and creative, which is excellent - but a key lesson of creativity is that you will sometimes fail. And this is one of those times. As for the content on artificial intelligence, it's a mix of so-so history, good on the science, over-enthusiasm about achievements and interesting lengthy consideration of ethics and impacts - the last of which is probably the best. A couple of examples of iffy history: in the caption for the Science Museum's Difference Engine (rather disappointing it isn't mentioned where it is) we are told it was 'based on Babbage's original drawings of the Analytical Engine' - but, of course the Difference Engine and the Analytical Engine were totally different things. The text is also fast and loose with Ada Lovelace's role. We're told 'Charles Babbage and Ada Lovelace originated the concept of... the Analytical Engine' - where Lovelace's first involvement was a commentary on someone else's paper on Babbage's idea - there is no basis for the suggestion she was involved in the origination of the design. Similarly, the early work on expert systems is made to sound like a commercial triumph, talking of the 'dominant success of the first AI boom' and 'AI seemed unstoppable.' It really didn't - it seemed niche and rapidly collapsed. Later we get a lot of material on self-driving cars, which spends some time addressing the societal issues of killing people, but doesn't take on the essential point that the statistical argument of hypothetical lives saved is of little value to the families of those killed. We're told that people's concerns are about a lack of understanding of AI mechanisms, but that's really not what this is about. Nevertheless, along with the descriptions of the technology, the parts of the book focusing on the ethics of AI are the best, engaging the reader in thought about the implications of the technology. Oddly, the 'future' section seemed one of the most dull, in part because it focussed on medical applications - which tend to be worthy but not something we think of in everyday life terms. Even so, it covered the issues well. A distinct curate's egg, then. The format is wonderfully creative but really gets in the way of the message. And there are some useful spoonfuls of information in that egg, if you can get past the problems. 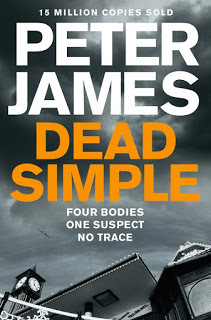 Peter James manages a couple of interesting twists an A good British crime novel is a wonderful thing, and I felt fairly confident coming to Dead Simple because according to the cover it has sold 14 million copies. But, for me, it was a huge let down. Peter James manages a couple of interesting twists and turns along the way, which I presume accounts for those sales. But the characters are mostly two-dimensional, the plot is incredibly far fetched - and this is a world where mediums can solve crimes. We’d love your help. 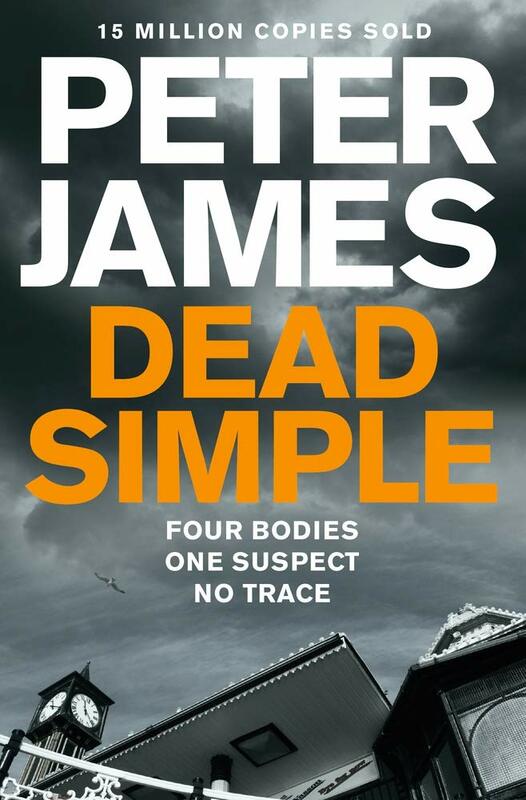 Let us know what’s wrong with this preview of Dead Simple by Peter James. So much has been written about the charismatic twentieth century physicist Richard Feynman that it's hard to think of a book about him presenting anything new - so Jörg Resag needs to be congratulated for achieving just that. What's more, it's an exc So much has been written about the charismatic twentieth century physicist Richard Feynman that it's hard to think of a book about him presenting anything new - so Jörg Resag needs to be congratulated for achieving just that. What's more, it's an excellent book for a particular audience - the only reason I'm giving it three stars is that this is quite a narrow audience... but for them it deserves four. When it comes to the physics, Resag treads a fine line between the physics textbook and popular science. He explains the ideas with very little use of mathematics, but goes into a lot more depth than you would expect (or desire) in a popular science title. it is this depth that gives this book its unique flavour - that being case, to be honest, I wish Resag had accepted that anyone who is prepared to work through this will be at least familiar with basic calculus and so not have to (as he does) skirt around calculus with statement that tell us sort of what the integration or differentiation is doing in text, rather than simply representing it much more clearly mathematically. So who would benefit from this treatment? A reader who is already familiar with the basics of Feynman's work, perhaps from one of the existing scientific biographies, and who wants to discover in more detail just what Feynman really contributed and how he did so. There was far more information here on what made Feynman remarkable than I've seen elsewhere (other than in, for example, the Feynman lectures) - the reader really gets a feel for his unique approach to physics and how he often saw things differently to many of his contemporaries. Just occasionally, even for this audience (who, I'd suggest, should have at least A-level physics and maths), Resag drops something in that is never properly explained. So, for example, when talking about quantum mechanical wave equations he tells us 'such an analysis informs us that suitable pre-factors such as (example) should be included' without telling us what a pre-factor is - not a term that is likely to be familiar to the reader. We’d love your help. Let us know what’s wrong with this preview of Feynman and His Physics by Jörg Resag. I'm not the natural audience for this book. Game of Thrones leaves me cold - and it's hard not to feel the influence of GoT (and a whole lot of Dune) underneath a veneer of science fiction and the trappings of a South American drug cartel in the cod- I'm not the natural audience for this book. Game of Thrones leaves me cold - and it's hard not to feel the influence of GoT (and a whole lot of Dune) underneath a veneer of science fiction and the trappings of a South American drug cartel in the cod-medieval family power battles and chivalric details. There are even dragons (of a sort). I'd be really sad if the future did involve this sort of throwback feudalism. However, remarkably, despite this I found Luna: Moon Rising kept me engaged. There is a good mix of adventure and politicking here, but set on a Moon where the laws are effectively that you can do anything as long as you get away with it. Interactions between industries seem to more often involve death squads than negotiations and contracts. To make things even more complex, there's interference from the Earth that could have dire consequences for all. Earth also comes in with an interesting, but irritating side story of a character from Earth who has spent time on the Moon and is now regarded as a traitor by neighbours. This thread is ultimately irritating as it feels like a bridging exercise between two other books. The character featured more in earlier titles and McDonald is clearly setting her up to feature more in future titles - but very little actually happens here. I can’t say that I like the book's obsession with knives, particularly given the recent level of knife crime in the UK. I was longing for an Indiana Jones moment to overcome the author's apparent reverence for hand-to-hand combat (though the final encounter does, at least, take a useful step in the right direction). We’d love your help. Let us know what’s wrong with this preview of Moon Rising by Ian McDonald.
" Sammi wrote: "I think we've read a different book Brian because there are sources at the end of the book." You're right, it does have notes at the bac Sammi wrote: "I think we've read a different book Brian because there are sources at the end of the book." You're right, it does have notes at the back. What I meant was that each of the articles didn't have references or further reading suggestions as part of them, which would have been more immediate - I was thinking of endnotes for each article, rather than the book has a whole. ...more "
" Am wrote: "Would this book be too technical for someone with only secondary (high) school physics to understand?" I don't think so - there is no maths Am wrote: "Would this book be too technical for someone with only secondary (high) school physics to understand?" I don't think so - there is no maths and it is mostly descriptive. ...more "
On first handling John Gribbin's book, it's impossible not to think of Carlo Rovelli's Seven Brief Lessons in Physics - both are very slim, elegant hardbacks with a numbered set of items within - yet Six Impossible Things is a far, far better book th On first handling John Gribbin's book, it's impossible not to think of Carlo Rovelli's Seven Brief Lessons in Physics - both are very slim, elegant hardbacks with a numbered set of items within - yet Six Impossible Things is a far, far better book than its predecessor. Where Seven Brief Lessons uses purple prose and vagueness in what feels like a scientific taster menu, Gribbin gives us a feast of precision and clarity, with a phenomenal amount of information for such a compact space. It's a TARDIS of popular science books, and I loved it. Like rather a lot of titles lately (notably Philip Ball's excellent Beyond Weird), what Gribbin is taking on is not the detail of quantum physics itself - although he does manage to get across its essence in two 'fits' (named after the sections of Hunting of the Snark - Gribbin includes Lewis Carroll's epic poem in his recommended reading, though it's such a shame that the superb version annotated by Martin Gardiner is out of print). Instead, the focus here is the interpretation of quantum theory - the attempts to theorise about what is 'really' going on underneath the so-successful mathematics. Different interpretations make up the 'six impossible things', which Gribbin poetically describes as the 'quanta of solace' in his subtitle. He covers the Copenhagen interpretation, pilot waves, many worlds, decoherence, the ensemble interpretation and the 'timeless' transactional interpretation. Each is dealt with in just a few pages, accompanied by some excellent full-page illustrations of key players, and I was extremely impressed by the way that Gribbin manages to encapsulate what are sometimes very complex ideas in an approachable fashion. This could well be the best piece of writing this grand master of British popular science has ever produced, condensing as it does many years of pondering the nature of quantum physics into a compact form. Inevitably, there were one or two moments when even Gribbin managed to potentially lose the reader (though this was far less the case than with Rovelli). In his section on decoherence, it's pretty much assumed that the reader knows what coherence means (in a physics sense), which probably is an assumption too far. And there are a couple of examples of leaps of logic brought on by the compactness. Notably, at one point in the ensemble interpretation section, Gribbin comments 'In an infinite universe, there would be infinitely many copies of you...' - that's quite a big leap. I can certainly envisage plenty of types of infinite universe which don't have infinite sets of copies of everyone in them. Early on, Gribbin says that he will offer an 'agnostic overview of some of the main interpretations' and that 'I have my own views on their relative merits, which I hope I shall not reveal.' I think he succeeds in this. It's clear he's no Copenhagen enthusiast, but where from previous interactions I assumed there would be a many worlds bias lying beneath the apparent fair dealing, I found at least two of the other interpretations to come across more acceptably, given his words.